By Peter Anderson 2 Comments - The content of this website often contains affiliate links and I may be compensated if you buy through those links (at no cost to you!). Learn more about how we make money. Last edited February 26, 2019 . 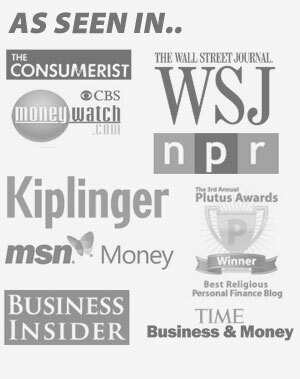 A few years ago I first heard of a new breed of automated investing services, what those in the financial media like to call robo-advisors. Automated investing services have made investing more accessible to the average investor. It allows a regular Joe like myself to invest in a way that's based on sound investing theory, that is typically lower cost than a traditional financial advisor, and that is highly diversified and suited to my level of risk tolerance. It's a set-it and forget it investing program for the rest of us. 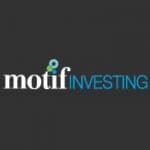 I've reviewed quite a few robo-advisors on this site, and one of the absolute best automated investing services in my opinion is Wealthfront. Not only are they one of the fastest growing and most respected automated investing services, but they also were among the most affordable. You can find my full Wealthfront review here. The only sticking point I've had in recommending them to newer investors was the fact that you had to have a relatively high initial deposit and minimum account balance of $5000 when opening a new account. While that isn't going to be a deal breaker for many, for those just getting started out who don't have a lot to invest, it might be. This month Wealthfront wiped out those concerns by getting rid of their $5000 minimum account balance, and instituting a new low $500 minimum account balance! What Kind Of Accounts Can You Open? The account minimums are changing for Wealthfront. An account with Wealthfront until recently came with a minimum balance of $5000. This past month they dropped it to be only $500, which is much more feasible for beginning investors. Our account minimum is $500, which entitles you to a periodically rebalanced, diversified portfolio of low cost index funds enhanced with our daily tax-loss harvesting service (for taxable accounts). So to open an account, you'll need a minimum of $500. Why not open a new account with $500, and then setup automatic deposits to fully fund your Roth IRA by the end of the year ($6000 for 2019)? There is also a minimum withdrawal of $250, and you can't withdraw below the new account minimum of $500. If you withdraw all of your funds it will transfer your money and close your account for you, with no exit fees. It's great news that the account minimum has dropped, but what are the fees that you'll pay to use the Wealthfront investment service? If your assets in the account are less than $5,000 there are no fees at all if you sign up through our link. Above $5,000, there is a 0.25% annual fee on the assets above that amount. Wealthfront does not charge an advisory fee on the first $5,000 of assets under management. On amounts over $5,000, we charge a monthly advisory fee based on an annual fee rate of 0.25%. The only other fee you incur is the very low fee embedded in the cost of the ETFs you will own that averages 0.15%. Balances over $5,000: You'll pay a 0.25% annual fee on every dollar over $5,000. HOW TO SAVE MORE TIP 1: Sign up via this exclusive Bible Money Matters link, and you'll receive $5,000 dollars managed for free! So if you have $10,000 in your account and you signed up via our link, you'll have no annual fees for the first $5,000, and a flat 0.25% annual fee on the remaining $5,000. HOW TO SAVE MORE TIP 2: Wealthfront also has a nice referral program when you sign up that allows you to refer other users to the service to earn an additional $5,000 managed free, per user referred. So you get the $5,000 managed for free to start (through our link), and then as many additional $5,000 chunks in assets managed free as you can rack up. Wealthfront was founded in 2008, and launched it's online investment advisory service in December of 2011. Since then they've grown rapidly to the point where they now have in excess of $12 billion under management. So how do they determine what you'll be invested in when you sign up? First, you'll have to answer some questions on a brief questionnaire that will tell them the basics like your income, investing horizon and level of risk you're comfortable with. Then they'll assign a portfolio based on your answers (that you can modify if you want). 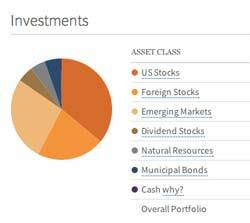 Wealthfront portfolios are based on a mix of 11 asset classes that includes both U.S. and international stocks and bonds. They invest mainly via the following ETFs, although that is subject to change. Your Wealthfront account holdings will vary depending on whether you have a taxable or tax advantaged account. Wealthfront will give you the most tax efficient holdings for your situation. Here's an introduction video from Wealthfront that talks about what they do. 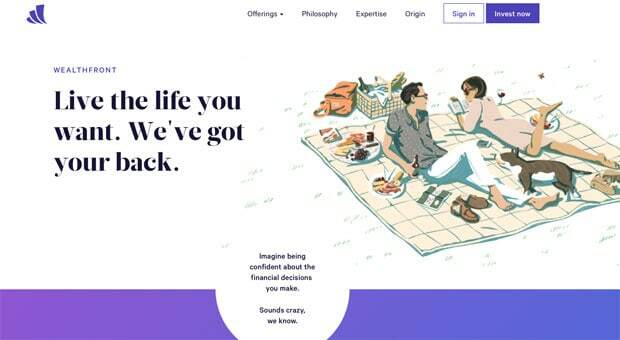 In December of 2018 Wealthfront launched a new free automated financial planning experience for their clients, to help them better plan for their financial future. The financial planning tools connect to your existing financial accounts in a few minutes, and then by tracking your actual spending and saving patterns to help you figure out how your financial future may look. Their tools helps take the guesswork out of figuring out if your hoped for future is even attainable based on your current spending and saving patterns. It helps you take a look at “what-if” scenarios, and help you figure out what the impact of a raise at work, or saving more every month might be. This automated advisor is your personal financial planner, but without the need for a bi-annual meeting at an expensive office with a planner that hardly pays attention to your needs. When I first reviewed Wealthfront a few months ago, I talked about how I thought they were a great service. They have an easy to use site, a proven investment strategy, low costs and a strong set of investing tools. The only people I couldn't truly recommend them to were beginning investors, because they had a $5000 minimum to open an account. Now that they've dropped the account minimum to only $500, I can safely recommend them to everyone as an easy place to start investing. Not only will you get a highly diversified portfolio, but you'll also likely get the returns you're hoping for over the long term – minus the high costs you might find elsewhere. Not only that but you can now get the fully automated free financial planning service. I think Wealthfront and Betterment are both great, they’re very similar services. They have some small differences in what they invest in, and what their fee structures are. For example, with Wealthfront you can have an account with a minimum of $500 and pay no fees up until $10,000 balance – or $15,000 balance if you use our link. Over $10-15,000 it will be a flat .25% annual fee. With Betterment they have no minimum balance, but have an annual fee of .35% for the first $10,000. Over $10,000 it goes down to .25% annual fee, and .15% over $100,000. So depending on your retirement account balance either one could be the best bet. With Wealthfront or Betterment they’ll both see ups and downs depending on where the market goes. So this past week or so most of us have seen some downsides to the market. They’re best viewed as long term investing strategies, however, and I think over the long term you’ll be happier with the results. Previous Post: Should You Learn The DIY Skills Previous Generations Learned?